Who should attend High Five on 2/25 + 2/26? If you consider yourself a marketer, and by that we mean strategist, communicator, designer, creative director, product manager, developer, writer, and everyone in between or on the periphery, this conference is for you. You’ll be surrounded by a few hundred other creative thinkers craving collaboration to make new ideas happen, just like you. 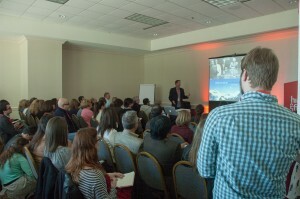 The conference has four optional 1/2 day workshops, five strong keynotes and 20 breakout sessions. Click here for an agenda at a glance. What others are saying about High Five? You want to attend High Five. You know it’s the place to be to help you do your job better. You get it! But, does your boss? 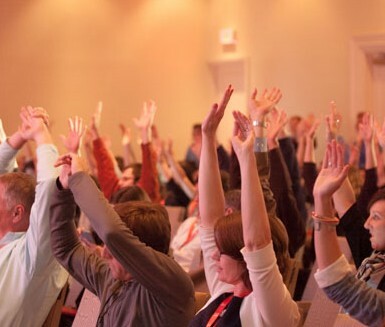 Here’s a little help to convince your boss that High Five is a “must-attend” event. Download High Five Convince Your Boss and share with your manager today! The event is hosted by the Triangle AMA. 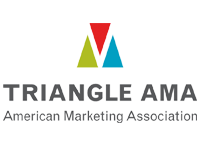 For more than 30 years the Triangle AMA has offered marketing professionals the opportunity to learn and grow through professional development and networking. Now 500+ members strong, we’re the premier marketing association in the Triangle and Eastern North Carolina. The conference is led by an all-volunteer core team of members which includes Annie Pearce, Brian McDonald, Catherine Locke, Christie Montague, Danny Rosin, Evan Carroll, Gene Pinder, Jennifer Wright, Karl Sakas, Kris Matson, Lars Bredahl, Leah Dorsey, Liz Miller, Mary Beth Munz, Rebecca Horton, Sam Fortenbery, Stan Phelps and Ted Seward.